In the end, Akin appears to have been unable to even break 40 percent of the vote. Had Akin withdrawn, the GOP would have likely secured the seat in Missouri. Not only Akin but the entire Tea Party worked last night to the great benefit for the Democrats — alienating moderate voters and securing wins across the country. 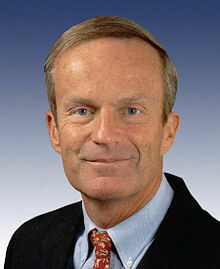 Akin will be left to history as a sad clownish figure who refused to accept the obvious reality that his own comments and extremist views destroyed any chance for election. MacMahon will fill another footnote on the amount of money someone is willing to spend in pursuit of egotism. Notably, MacMahon never appeared to have any particular vision or idea or cause — she just wanted to be a Senator and thought she had the money to guarantee it like some choreographed WWF bout. They are not the only such figures in this election. The question is how we end up with such caricatured candidates in national elections and the overall low quality of politicians in this country. I have long blamed the monopoly of the two major parties on our politics. I still hold that view. However, Akin also represents a sad cultural reality today. It is not just the loss of moderation in politics but a loss of a sense of personal integrity and responsibility. Akin immediately blamed others and refused to stand aside for the benefit of his state and party. He is for me the face of what is wrong with our politics: an anti-intellectual extremist who ultimately shows little sense of duty or calling beyond himself. Contrary to conventional medical wisdom, there’s new evidence that repeated blows to the head can actually put some sense into the heads of some conservative politicians. We’re a better country with two strong, smart political parties. Choice is always preferred in a democracy but it has to be real choice not caricatured nonsense passing as alternate political thought. Enough of sound-byte solutions to real and complex human problems. In Jindal means what he says, I’m up for this kind of choice in my politics. Just re-read your comment again. and being sunaware of those who have it bad is no reason to call them cynics. And then you proceed to add items to the pile, implying that I am willfully unaware of these ills is—–I can not find words for such crappy argumentation and abuse of me as a person. If anyone here is known for defending those illed by this evil world, then I am one of them very well known for that. My awareness is as good as many here, and I act on that basis also. The underdog’s fight is like a fire bell to me, and you must have seen it many times so far. Nice kick that you delivered to my a55. Here I was, in my last sentence, trying to excuse folks for ignoring the ills of the world by comparing my own self-occupied self of the same era. And that is how my life was. No excuses given. I was a soldier because the system forced me to do so. I worked within the defense industry because that was where the jobs were. I designed an original management system which was approved by DoD to assume control of all building activities in the Pacific, because that was the project my employer asked me to do. I was qualified and did it. I also designed F-4 fighter and B-52 airbases in country in Thailand. Did I give any thought to the justice of our Vietnam actions? Nope, And of course I did not protest—against what, I would have asked. So I was no better than the majority of Americans who were not aware, and did not demonstrate. My awareness began here in Sweden, and it was not at FNL meetings, but from reading the liberal newspapers and seeing Palme march with the NV foreign minister, and see the US call home its ambassador. And still it had to grow a dreat deal to get to where it is today. How you happen to be so well informed and self-righteous from birth, can you explain if you like. Cynical, as to what. Explain.